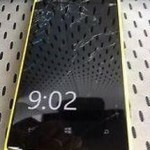 Lumia 920 is one of the most exciting phone available in the market. 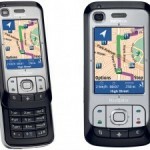 It is developed by Nokia and the operating system on which it runs is Windows Phone 8 operating system. It is the most innovative Lumia designed by Nokia but now it has been superseded by Lumia 1020. As Nokia has been releasing its new handsets one by one in a line it seems that Nokia wants to make its strong base in the field of market where the names of big brand already exists. With this innovative Smartphone which consist of great technical features Nokia has given a tough competition to all other brands. The main feature which is looked up by Nokia is the wireless charging of the phone, which will be discussed in detail later. Whenever a buyer goes to buy a phone he doesn’t look for a single feature but he considers the whole phone. So let us see its specification in details. 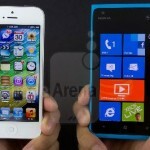 Lumia 920 display size is 4.5 inches. with a display resolution running at WXGA ( 1280 X 768 ). It has an IPS TFT LCD display along with a high capacitive touchscreen with 16M colors that is covered by a curved Gorilla glass. It is enhanced by new IPS screen technology called Puremotion HD + which is considered as the best touchscreen ever seen. With this display it has become the world’s fastest, brightest and sensitive touch screen which is capable of responding to your fingerprints even when they are covered. It has a colorful unibody design with polycarbonate shell along with Carl Zeiss lens with glossy and matte which gives the final finish to the device. Its dimension is 130.3X70.8X10.7 mm. And it weighs around 185 gm. It comes with 1.5 GHz Dual core Qualcomm Snapdragon S4 processor. Having this processor is very useful as it allows you to perform more task in less time. It also helps you to run the most demanding applications whether it may be gaming, photography as well as business whenever you are in need. With the help of this unique technology each core is powered up and powered down independently which helps you save your battery without wasting any extra charge. Model of the battery is BP-4GW. It has a non removable Li-Ion 2000 mAh battery. Its stand-by time is up to 400h and maximum talk time up to 17h ( 2G) and talk time (3G) is 10.8h and music play time up to 67h. Maximum video playback time is up to 6h. It has 1GB RAM with an internal storage of 32 GB. It has no facility of card slot. Hence its memory is non expandable. In this device we find SkyDrive cloud storage with memory of 7 GB. 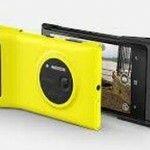 Lumia 920 features PureView technology on the rear camera with an optically stabilized 8.7 megapixel BSI image sensor. Its focus type is auto focus with 2 stage capture key and has a digital zoom up to 4X. It has a Carl Zeiss Tessar lens , short pulse high power Dual LED Flash with an operating range of 3.0 m and with 1080p HD video capture. Panorama, video, still are the image capturing mode. Touch focus, land orientation, Still image editor, Automatic image blur reduction, Auto and manual exposure, Geotagging, True 16:9 sensor, Optical image stabilization etc., are the other features of this main camera. Now coming to front camera that is secondary camera, it is of 1.3 MP. It provides features like Video recording, Video call, Still image capture. It will have the 4G LTE network. Also supports NFC. There is no dual SIM option. Micro USB-B is provided to connect the device with the system. It also provides with WI-FI, Bluetooth, WCDMA network, GSMA network. Of all the features mentioned above this is the best feature that it comes with. For the first time a handset comes with wireless charging. The phone can be recharged inductively by using Qi Inductive Power Standard. For this the phone should be placed directly on the charging pad. That is it does not require any use of the physical connection with cables for charging the phone which is the most innovative idea in the arena of this smart phone. It has received a good positive review. Its design is fabulous and eye capturing based on which CNET rated it 4 stars out of 5 stars. Besides its attractive design, Nokia mixradio, Nokia exclusive apps and other exciting feature, there are also unimpressive features which gives the negative side of it which are low battery life and heavy weight. But these may be ignorable in front of such innovative design provided in this phone and that is the reason why it is rated 4.5 out of 5 by the users. Laptop Mag being praised by the phone’s colorful design, inductive charging, HD screen, amazing image capturing feature, as well as amazing Nokia apps it rated 4 stars out of 5. Though this phone is preferred by almost every user but many resist it due to its bulkiness, low battery life and on top of that Windows Phone 8 has some big problem and even it does not have as many apps as an android and iOS. And of all these its main drawback is its non removable battery facility. From the time of its release date that is 2nd November, 2012 it has received a good response from the market which can be observed from the survey which gives the sale percentage of the device ( it has been sold 4.4 million times more than any other Lumia devices in that period). And finally coming to its price, it ranges up to Rs. 31,500 or $698 USD. Hence with all the features mentioned above and the price tag on it I would like to give it 4 stars out of 5. As every thing is in front of your eyes you may give your own rating to it as every individual as its own point of view.